Hockey week is coming to a close so today will be a catch all of things, a hockey pot luck if you will. These are the things I’m looking forward to this season. Winter Classic. How can you not love the Winter Classic? Much like the skills competition this has become a mid-season celebration of hockey. I love the attention it gets. This year it is Capitals vs Penguins. I’m sorry to see Pittsburgh back in it. Not anything against them, I’d just like to see two new teams get a shot at it. 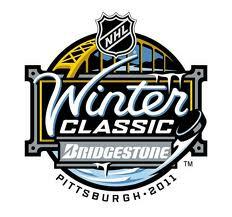 The Penguins already got to play in a Winter Classic, give the other teams a chance. My dream Classic would be to get the Stars up to Minnesota to play the Wild, the irony of the throwbacks jerseys would be staggering. Roberto Luongo. 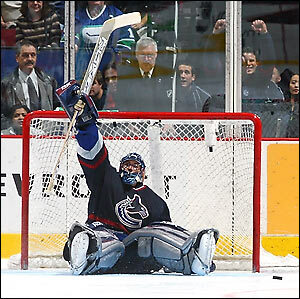 I’ve never been quiet for my admiration of Luongo. Since playing for the Panthers I think he is one of the best goalies I’ve ever seen play. The teams in front of him have not been stellar. He stepped down from Captainship to keep himself more focused in the pipes, a move I respect. Currently the Canucks are at the top of the Northwest and third in the West; so it looks like it might be working. Detroit. 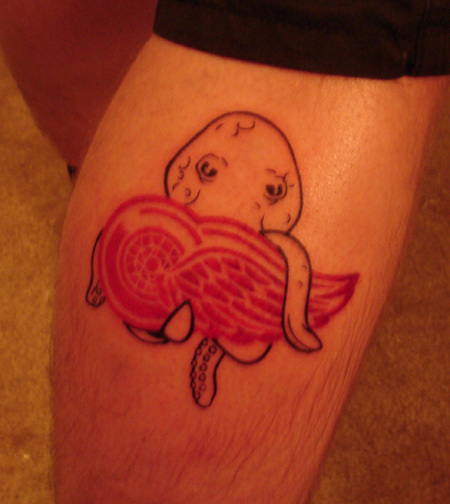 My beloved Wings are playing strong right now. Kirk Maltby retired this year to become a scout for the team. 14 seasons and 4 cups with the Wings, that’s one hell of a career. I think this is the last season I’m going to be seeing a lot of the old favorites on the ice. Kris Draper is a machine, but how long can he keep playing? The Wings rose up from being the Dead Wings because of the way they groom their young talent. It hurts seeing some of my favorite names retiring, but I’m excited to see who the new players that rise up will be. Anyway, my hopes are always on them lifting the cup again. And I really need to get a better picture of my tat, the lighting looks all odd in that one. 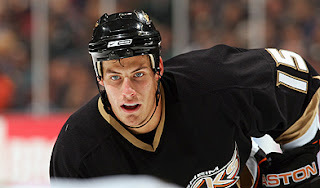 Ryan Getzlaf. He’s got the big C all to himself this year and man does he deserve it. I was worried the way he started out, but after a few games he is back into his groove. One of those players I love to watch, he can put you on the ice or put the puck in the net. 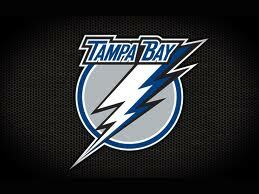 Tampa Bay. I wouldn't forget these guys, Brandon would never forgive me. Wikipedia has their seasons (starting from 06-07) listed as “Another short postseason,” “Dead Last,” “From bad to worse,” and finally “Season of new beginnings.” It takes a lot to pull a team around, but the talent is there. It is going to be an interesting year. If nothing else maybe I can get Steve Yzerman to sign a puck for me. Daniel Carcillo. 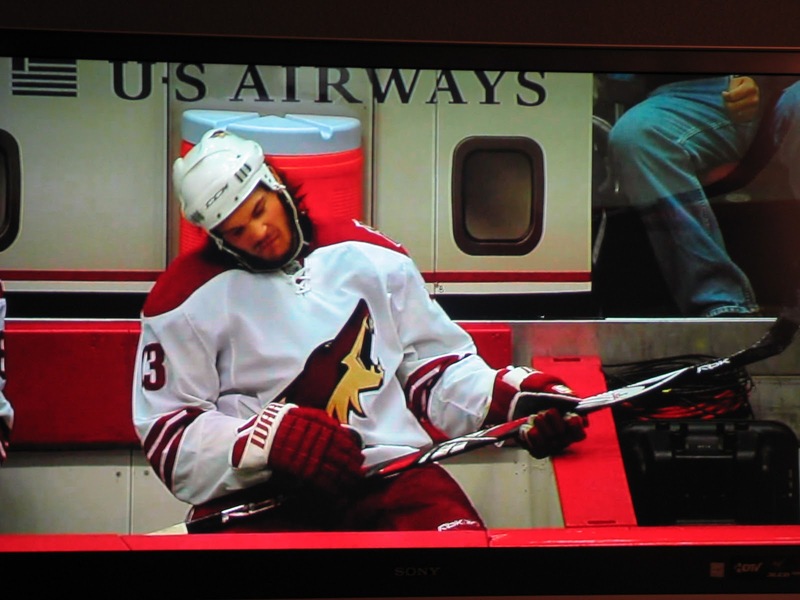 Yeah, sometimes I like a goon. Here is the thing though, I think he can be better then he is. I’m not saying he is the next Gretzky or anything, but I believe he could be putting up Scott Hartnell sized numbers. They are on the same team, I hope someone takes him aside and shows him that you can bang bodies and still put up points. Also, I know this is an old picture of him, but look how stick guitar is awesome. That’s all the hockey talk I have for now. But if you have anything to say, comment section is always open and I’m always happy to talk hockey.